If you are looking for a used Chevrolet Malibu in Windsor, Chatham and surrounding area, the AutoMAXX sales team will be able to satisfy your needs. AutoMAXX always has a great selection of pre-owned Chevrolet Malibu in stock and add to the vehicle inventory daily. At AutoMAXX we proudly sell and service used Chevrolet Malibu to customers from Windsor, Chatham, Essex, Tecumseh, Tilbury, Leamington, Lakeshore, Merlin, Kingsville and LaSalle. The award winning Chevrolet Malibu emphasizes civilized road manners, quality construction and practicality, with clean, contemporary styling. The 2012 Malibu has three trim levels: LS, LT, and LTZ. All models come with a 169-hp, 2.4-liter four-cylinder engine and six-speed automatic transmission as standard equipment. Optional on the LT and LTZ is a 252-hp, 3.6-liter V6, matched with a high torque six-speed automatic. The Malibu comes with standard safety features such as seat-mounted thorax airbags, side-curtain airbags, stability control, traction control, and anti-lock brakes. Bluetooth is standard on the LTZ, optional on the LT. 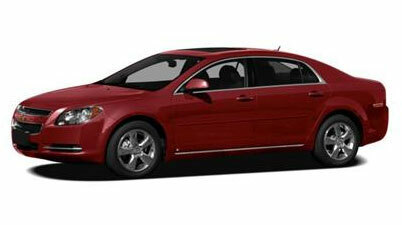 The distinctive and classy Chevrolet Malibu carries over from 2011. Source Chrome Data. The Chevrolet Malibu has the size, room, features and conveniences a family sedan needs. The rear seats are roomy. Fit and finish inside and out are world-class. We think the Malibu stands up well to the best in its class, including the Camry and Accord. NewCarTestDrive.com correspondent Jim McCraw filed this report after test driving Malibu models around Memphis and down into Mississippi; with Mitch McCullough reporting from Los Angeles, and Kirk Bell in Chicago. Source Chrome Data. The latest Malibu looks great, drives well, offers good fuel economy in four-cylinder guise, and might just be the best family sedan ever brought forth by a domestic automaker. -- Car and Driver. Source Chrome Data.